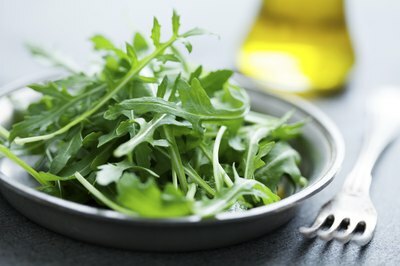 Eruca sativa, an annual garden plant used as a salad green, is most often called "rocket" in Britain, Australia and New Zealand; North Americans generally call it arugula. The cultivated "sativa" species is very closely related to the wild Eruca vesicaria, and is considered by botanists to be either identical to or a subspecies of "vesicaria." 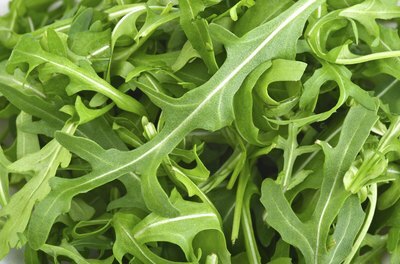 Rocket has deeply lobed green leaves that range in length between 3 and 7 inches, and each leaf has between four and 10 lobes. 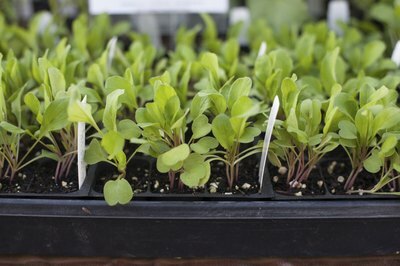 The leaves are best harvested as salad greens when the plant is young and less than a foot tall. If left unharvested, the plant will eventually grow to a height up to 2 or 3 feet. Eventually, the plant will produce small, white cross-shaped flowers and go to seed. Rocket grows easily from seed and will germinate within a week after planting. It's not especially demanding in terms of growing conditions, although it appreciates well drained soil, regular watering and full sun. It fares best in cool weather, however, and will bolt when the weather turns hot in the summer. Plant it in early spring with a second planting in the late summer or early fall to take full advantage of the cooler parts of the growing season. In U.S. Department of Agriculture plant hardiness zones 6 to 11, rocket may survive the winter and reseed itself in the spring. Rocket is not especially vulnerable to any pests or diseases. 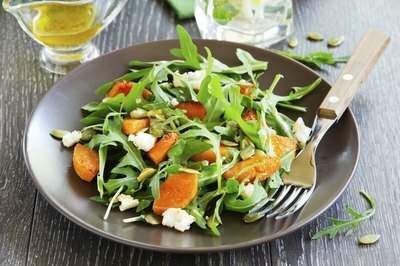 Rocket has been a popular salad green in Europe for centuries but has only more recently gained popularity in the United States. It's characterized by a strong peppery or nutty flavor, so it complements sweeter, milder greens in salad mixes. Leaves harvested during hot weather or after the plant has produced flowers tend to be bitter, so greens from a midsummer harvest may be too strong to be palatable. Wild rocket (Diplotaxis tenuifolia), also sometimes called sylvetta or rustic arugula, is a related but different plant that can also be used as a salad green. Wild rocket is somewhat hardier than its domesticated relative and may be perennial in USDA zones 6 to 11. 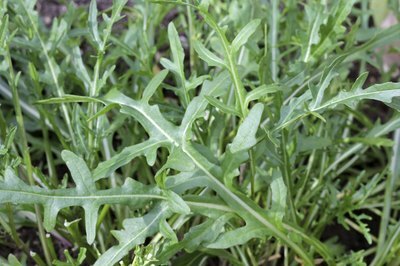 Like other types of rocket, wild rocket also grows best in cool weather. In cultivation, plant it in the spring and fall; it may, however, be less likely than the Eruca species to bolt quickly. What Are Capri Blend Vegetables? What Vegetables Go With Cabbage?